How about another collection of our favorite releases or upcoming games? Hopefully one or two will catch your eye. 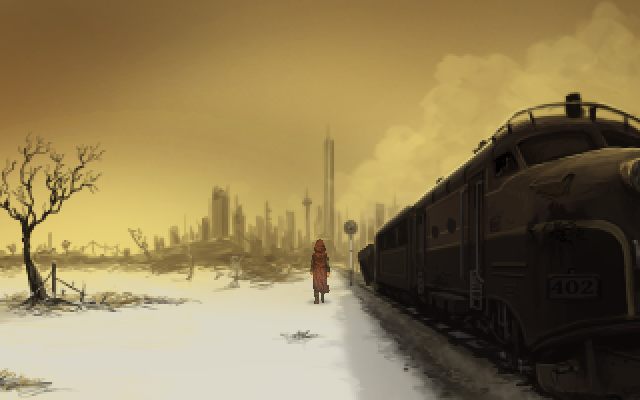 Our friends at Wadjet Eye Games have just launched Shardlight, a thoughtful take on a post-apocalyptic landscape. Our heroine is seeking a cure for her disease. She’ll need to maneuver through her society, such as it exists, and explore the remains of ours to find her way. Self styled indie grandpas Two Tribes are aiming their final release at being a spectacular farewell. We’re sorry to see them retire, but excited to see RIVE come – good side scroll-ey blasting is perpetually fun. Hack enemies, gather specials, and maybe turn off the contemplative side of your brain in favor of frenetic satisfaction. Furi feels a bit like Nuclear Throne sans mutations mashed with something closer to Ninja Gaiden. It looks really difficult, but in that slick, satisfying action kind of way. We expect those who invest in learning its systems will find a meaty treat to sink their teeth into.